On a quiet Saturday morning in August 2000, two explosions--one so massive it was detected by seismologists around the world--shot through the shallow Arctic waters of the Barents Sea. Russia's prized submarine, the Kursk, began her fatal plunge to the ocean floor. 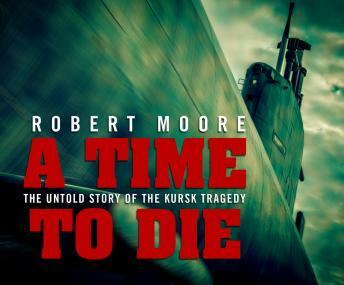 Award-winning journalist Robert Moore presents a riveting, brilliantly researched account of the deadliest submarine disaster in history. Journey down into the heart of the Kursk to witness the last hours of the twenty-three young men who survived the initial blasts. Visit the highly restricted Arctic submarine base to which Moore obtained secret admission, where the families of the crew clamored for news of their loved ones.